History of the metric system and its adoption in the USA. The metric system is a system of measurement which was developed over many years, and traces its origin to a 1585 book entitled "The Tenth," by Simon Stevin, who suggested that a decimal system be used for weights and measures. Around 1670, Gabriel Mouton, a French vicar who studied mathematics and astronomy, proposed a decimal system of measurement based on the size of the earth. In 1790, Thomas Jefferson proposed a decimal-based system of measurement for the United States and France's King Louis XVI authorized scientific investigations aimed at reforming French weights and measures. The development of the first "metric system" arose out of these investigations. In 1795, France officially adopted the metric system. Many years later, the use of the metric system was made legal (but not mandatory) in the United States by the Metric Act of 1866. 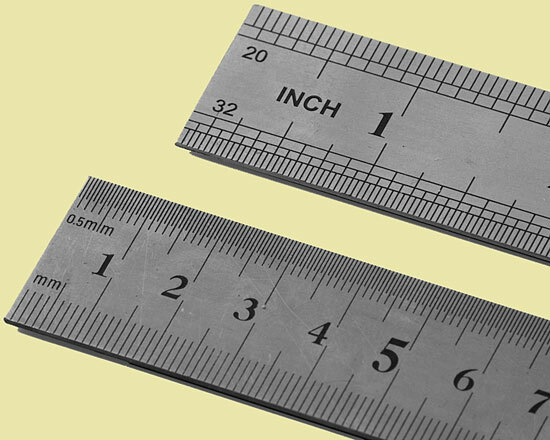 During the early 1870s, a series of meetings was held to reformulate the metric system and refine the accuracy of its standards. In 1875, at The Convention of the Metre in Paris, the United States committed to the development of an internationally recognized metric system by signing the "Treaty of the Meter," along with 16 other nations. This treaty established the International Bureau of Weights and Measures (BIPM) in Sevres, France, to provide standards of measurement for use worldwide. In 1893, metric standards developed under the auspices of the BIPM were adopted as the fundamental standards for length and mass in the USA. The conversion ratios between our customary measures — the foot, mile, acre, gallon, etc. — and metric system units were defined at that time. In 1960, the General Conference of Weights and Measures, the metric system's governing body which is comprised of Treaty of the Meter signatory nations, approved an updated version of the metric system, known as the International System of Units, abbreviated SI. In 1968, the United States Congress authorized a three-year study of measurement systems in the USA, and in 1975, Congress passed the Metric Conversion Act of 1975 "to coordinate and plan the increasing use of the metric system in the United States." The U.S. Metric Board was established and a process of voluntary conversion was begun. However, the efforts of the Metric Board were largely ignored by the American public, and the Metric Board was dis-established in 1982. More recently, in the Omnibus Trade and Competitiveness Act of 1988, Congress amended the Metric Conversion Act of 1975 and designated the metric system as the preferred system of weights and measures for United States trade and commerce. Today, some business and technology companies in the USA use the metric system, and many products specify both English and metric units. But the American public has decided, collectively, that the short term costs and disruptions of converting to the metric system would outweigh the potential long term benefits. See also International Bureau of Weights and Measures, the governing body for the International System of Units (SI).